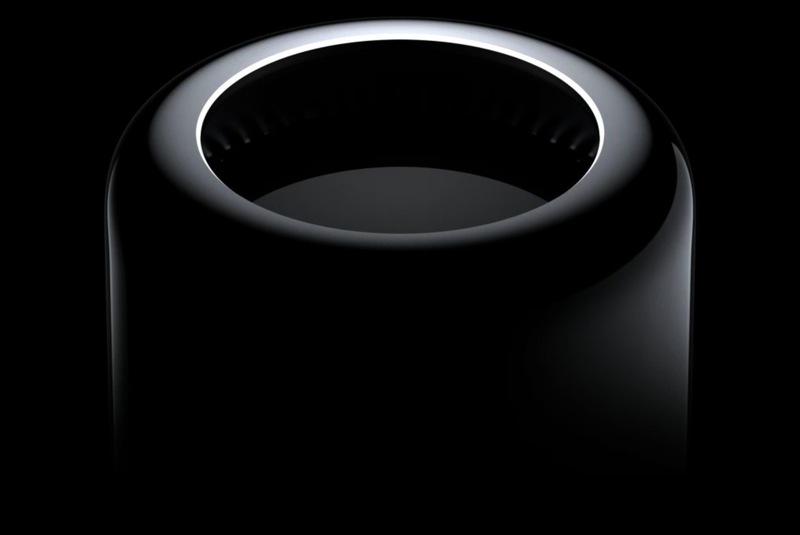 Apple’s much anticipated Mac Pro is to be available for purchase in December of this year. Apple’s new circular design sets this generation apart from the previous generations’ rectangular and bulky design. The new Mac Pro is to weigh only 11 pounds (5 kg) compared to the Mid-2012’s 41 pounds (18.7 kg). The new Mac Pro will come standard with a 256GB SSD. The Mid-2012 Mac Pro came standard with 1TB of storage. Although the SSD will be a much quicker option some consumers want more space at the sacrifice of speed. With the new boosted processing power of the Mac Pro you will be able to perform more tasks than ever before. This will allow you to use much more processor dependent programs on your computer.The new Mac Pro does have boosted processing power coming standard with 3.7GHz Quad-Core Intel Xeon E5 with 10mb L3 cache or you can get the 6-Core version for an extra thousand dollars which comes with a 3.5Ghz 6-Core Intel Xeon E5 with 12mb L3 chace. Compared to the 2012’s which you could either get a 12-core with two 2.4Ghz 6-Core Intel Xeon E5645 or a 3.2GHz Quad-Core Intel Xeon W3564. The new Mac Pro definatly has more processing power especially when you shell out the extra cash to configure it even more. Apple shows us that they are expecting people to use more graphic intensive programs on the Mac Pro. They have added major improvements to the graphics software, something that Apple is not know for.They worked to improve the graphics power on the new Mac Pro by having them come standard with either 4GB of GDDR5 VRAM or 6GB of GDDR5 VRAM. The 2012 version only came with 1GB GDDR5. Apple decided to add more connectivity to the new Mac Pro. This will allow you to connect more of your devices to your machine. It comes with 4 USB-3 ports, 6 Thunderbolt 2 ports, 1 HDMI 1.4 UltraHD port, and a set of Gigabit Ethernet ports. With the addition of more memory than ever to the Mac Pro you will now be able to use the Mac Pro to run a multitude of programs at once without slowing your computer. The Mac Pro comes standard with 12GB (three 4GB sticks) of 1866MHz DDR3 ECC memory and configurable to 64GB! This will allow for people to use this computer to run multiple virtual machines. The Mac Pro will be available for purchase this December for the prices of $2999 and $3999. This entry was posted in Uncategorized and tagged Apple, December, Mac Pro. Bookmark the permalink.